Kerala is land blessed by Gods. 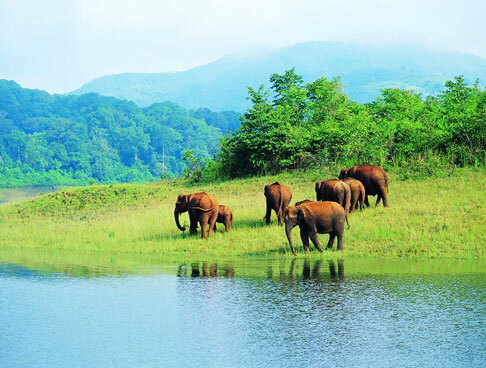 From beaches, hill stations, backwaters, natural sanctuaries, this one state has it all. To live on a treehouse during a holiday is an experience beyond words. 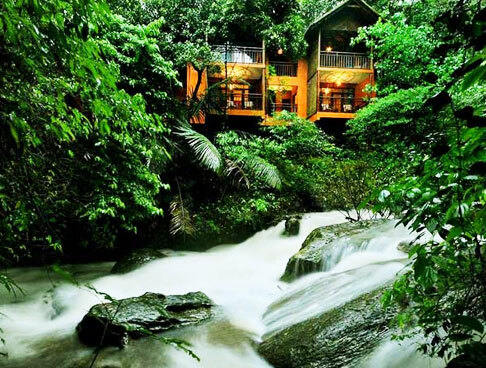 Kerala has some wonderful options of staying in a Treehouse. With Kerala Treehouse Tours now revel in the blissful experience. 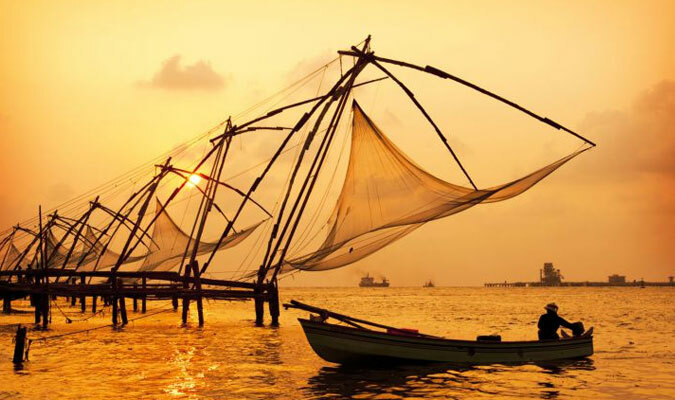 Start your tour in the beach city of Cochin. 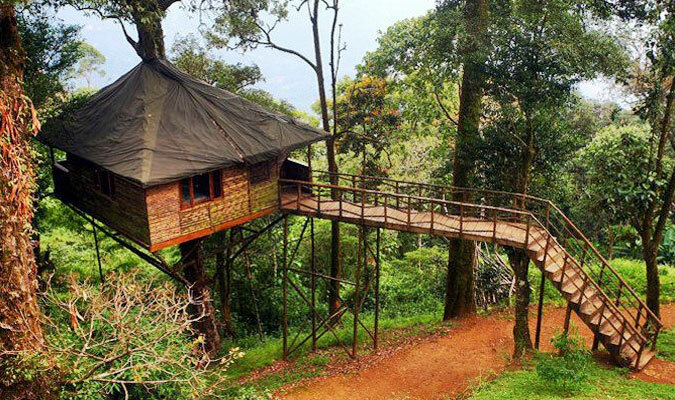 Stay in treehouse in Munnar. 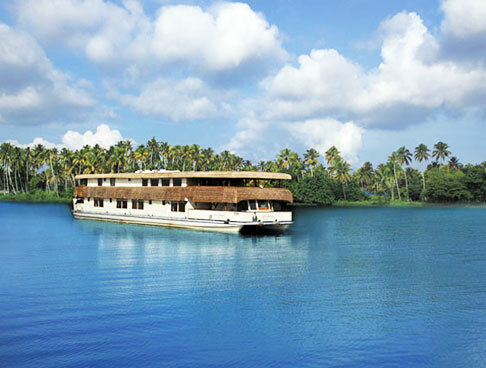 Cruise through the emerald backwaters in Alleppey, enjoying sightseeing. 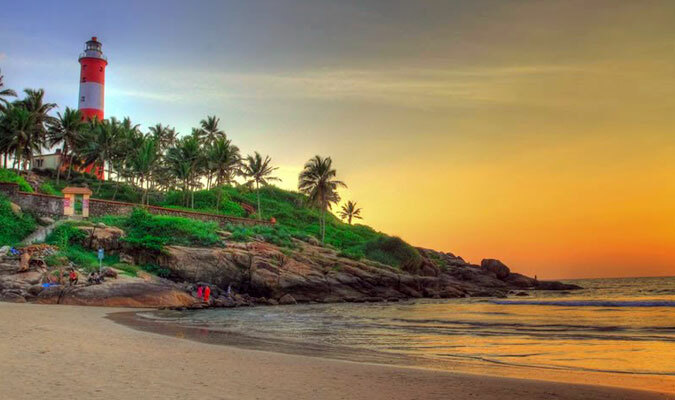 The relaxing beach expanse at Kovalam adds the required spice to your pleasant vacation. Kerala Treehouse Tour starts with your arrival at the Cochin Airport/ Railway Station. Meet our representative as you are assisted transfer to the hotel. Check-in and relish a traditional lunch. Post lunch, travel across the Cochin Harbor. Arrive at Fort Cochin, while you set off for the sightseeing tour in the city. Visit the St.Francis Church, Dutch Palace and Jewish Synagogue etc. In the evening enjoy a program of Kathakali dance. Start the day with the appetizing platter of healthy breakfast. After you are full, check-out of the hotel and drive to Munnar. 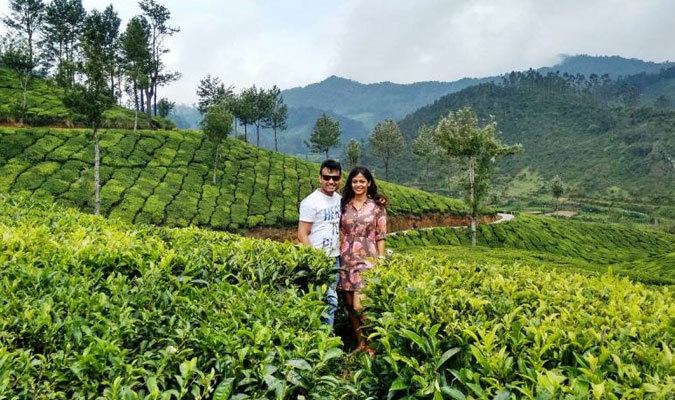 En-route, your eyes are treated to the charming views of green tea plantations and Cardamom hills. Upon arrival at the beautiful hill station, check into the Tree house. The tree house is a unique stay on your holiday. The treehouse is built on a platform, among the trunk or branches of one or more mature trees. High above the ground you are in a giant house snuggled in the lush tress. The wonderful views and the call of birds makes your stay memorable. The rest of the day at leisure. Dinner and overnight stay at your treehouse resort. Start the day amidst the tress. 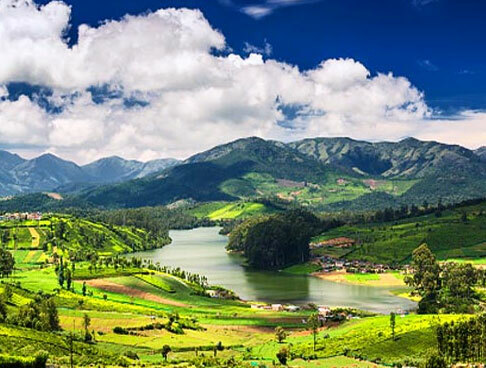 Munch on the healthy breakfast and embark on a sightseeing tour of Munnar. 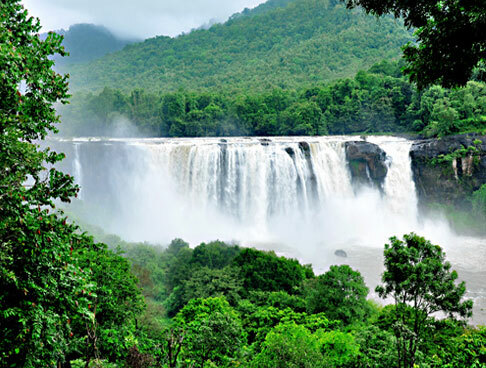 The attraction you cover are Mattupetty Dam, Old Munnar Town, Town Market, Eravikulam National Park and dairy farm. After the sightseeing tour, you are at leisure. Revel in the treehouse or go for nature walks. A lot of thrilling adventures are also accessible. Return to your treehouse for an overnight stay. Post breakfast, the road journey to Alleppey- the hub backwaters in Kerala starts. It is now known as Alappuzha. On arrival at the jetty, check-into a houseboat, locally known as kettuvallam, equipped with all kinds of the contemporary facilities and amenities. 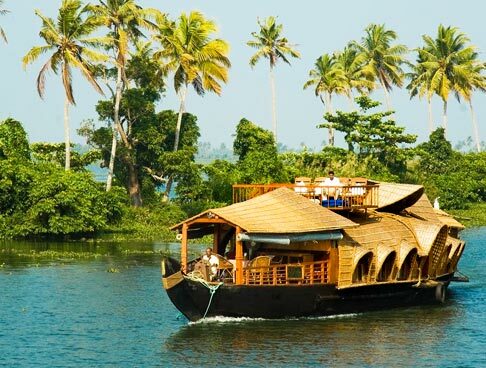 Embark on a memorable overnight backwater cruise. 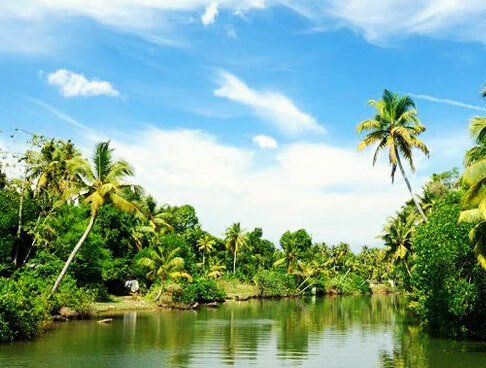 Paddy fields, stunning vistas, popular attractions, and peaceful environs are some of the highlights of this backwater route. Overnight stay in the houseboat. Today morning, post breakfast, de-board your houseboat and proceed towards Kovalam. The sandy beach along the Arabian Sea is picturesque and perfect for a vacation. Thereafter, enjoy a leisurely stay on the beach. Kovalam is a beautiful crescent-shaped beach that includes three beaches- Hawa beach, Lighthouse beach and Samudra beach Stay overnight in Kovalam. In the morning, munch on healthy breakfast and then embark on a sightseeing tour of Thiruvanathapuram. 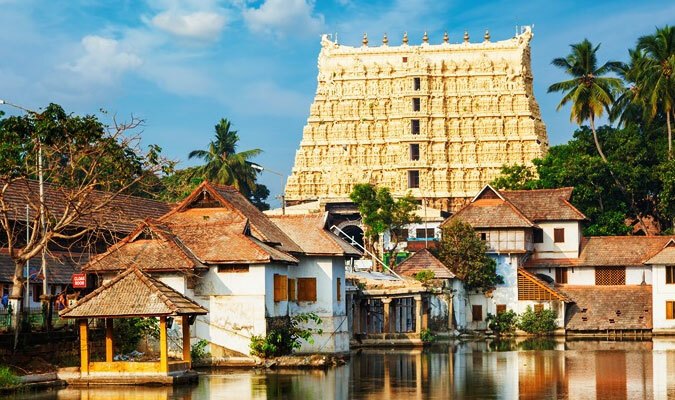 Visit attractions like Padmanabha Swamy temple, Veli Tourist Village, Museum Complex, Science & Technology Museum, Shangmugham Beach and Aakulam boat club etc. After a well spent day, return to Kovalam for overnight stay. The Kerala tour ends today. After your breakfast, you will be transferred to the airport/railway station for onward journey. Return home with fond memories.